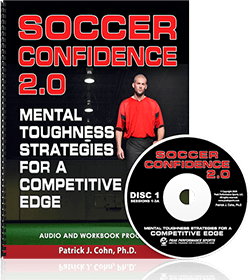 Ready to Improve Your Mindset for Soccer? We are happy to answer any questions you have about the mental game of soccer or our soccer mental training programs. 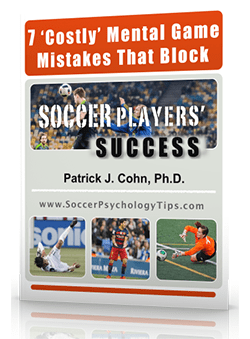 Please contact Patrick Cohn, Ph.D. at Soccer Psychology Tips by Peak Performance Sports with any questions you have about your mental game of soccer or mental training for soccer teams. Do you have a soccer psychology or mental training question? Do you want to place an order for our soccer psychology CD program? Are you interested in a free 15-minute meeting to discuss your mental game?